Currently: wearing as many layers as possible and trying to avoid resembling the abominable snowman and frostbite. 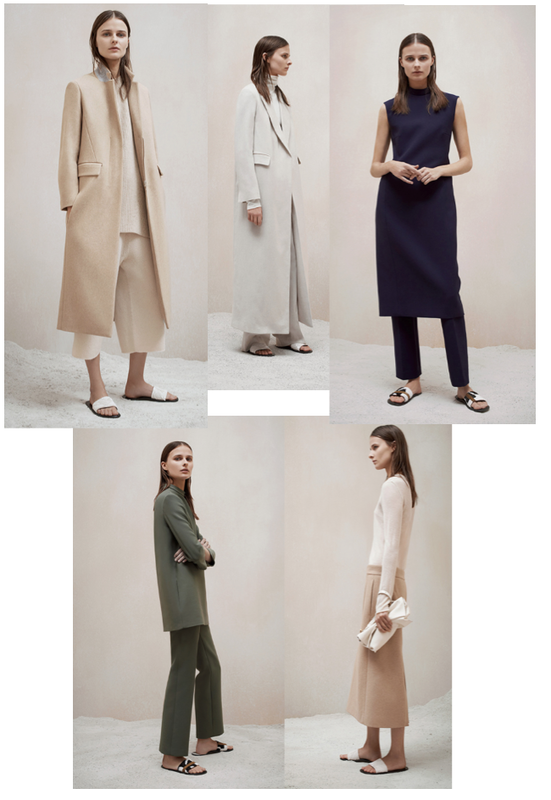 Coveting: the whole entire Pre-Fall The Row collection full of luxurious minimalistic goodness served with a side of sequin slides. Three claps for MK&A on their ability to convince me that I need (scratch that, must) to embrace the skirt over trousers look, and should never wear any other colors except camel, hunter green, and gray amongst pink and navy- head to toe.